Pastry cream is a basic staple in the bake shop. Think of it as a thick vanilla pudding. 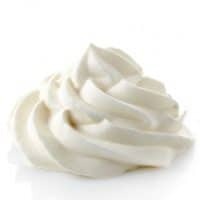 Then consider lightening it by folding in some whipped cream. Or steeping some nuts in the milk for a day or two before starting. Set it more firmly with some gelatin. Possibilities are endless. Fill a donut. Fill a tart shell and layer on some fruit. Fill a cake. Have a ball. 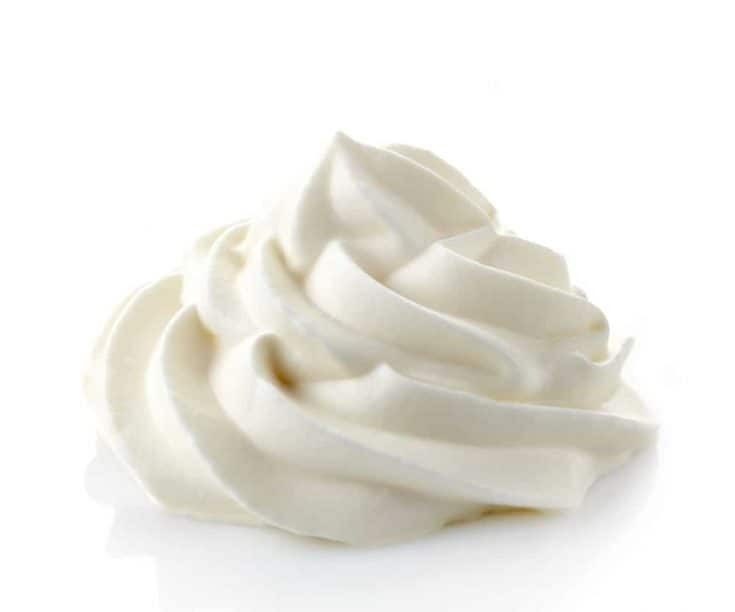 The basis of many fillings in classical French patisserie, and a wonderful filling all on its own, pastry cream is a staple of the pastry kitchen. In a heavy-bottomed saucepan, cook milk, half the sugar, salt and split and scraped vanilla bean until just below a boil. In a bowl, whisk together the eggs, corn starch and the other half of the sugar. Temper the milk into the egg mixture and then put everything back on the stove over medium heat. Cook, stirring constantly and quickly, until the mixture has come to a boil, boiled for two minutes, and has gotten very thick. If you undercook it, it will taste like raw starch and not be completely smooth on the palate, so make sure it's good and cooked. Whisk madly and constantly, and be careful because thick boiling stuff can bubble up and burn you. Remove from heat and strain this very thick mixture into a clean bowl. Stir in the butter (and other flavorings) until melted. Put a piece of plastic wrap directly on the surface of the pastry cream and chill. *It’s not the end of the world if you don’t have a vanilla bean. Just leave it out and stir in 1 teaspoon or so of vanilla, or the flavoring of your choice, along with the butter. To make chocolate pastry cream, strain the finished cream over 8 ounces (more or less to taste) of finely chopped bittersweet or semisweet chocolate. Stir until completely combined and smooth. Make sure to boil the mixture for a full 2 minutes, or it will weep and loosen up upon cooling. To make the chocolate even more intense, sift an ounce of dark cocoa powder together with the cornstarch. Chocolate pastry cream will be a bit firmer when chilled because of the chocolate. I’ve tried this recipe twice. The first time, a few months ago, I substituted heavy cream for whole milk and most likely added more butter thinking it would taste even better and have a slightly firmer set. I shouldn’t have changed anything…….. It wasn’t nearly as smooth & creamy as I had hoped but also possible I didn’t cook it enough for the starch taste to be eliminated. Ended up throwing it out. Not a huge loss. Fast forward to yesterday when I tried again going by the recipe (half recipe) and it was definitely smoother and silkier. I was happy. I used it for filling a Boston Creme Pie for a friends birthday cake. The flavor was good ~ I read what you wrote about stirring in some whipped cream or gelatin and wondered if that would help achieve the heavier, creamier texture I’ve been searching for in a pastry cream. I’m looking for an equivalent to your lemon curd recipe that I just want to gobble up by the gallon in the form of pastry cream. Something I can use for my English Trifle recipe….. I tried stirring in some cream Sherry and heavy cream into the leftover pastry cream but it’s still not quite what I’m hoping to achieve. Am I missing something ~ some technique or ingredient I just haven’t tried yet? Delicious! I used this as the base for my pumpkin filled cream puffs. I added 1 cup pumpkin puree (remember it’s been draining in a colander for over a week now), an extra egg to accomodate the extra liquid and a tsp or so of pumpkin pie spice. Another note: I only use fat free milk, but I substituted half and half for 1/2 CUP of milk. Not certain what the fat content is at that point, but I usually have luck adding h/h to FF milk in recipes that call for whole milk. (Have no clue what’s going on with the ‘stars’ – I didn’t really mean for this to be -41). It should be 4 stars for sure! I have no idea what those whacky stars mean Jo-Anne! Worry not:) I know your profiteroles will rock the Thanksgiving dessert table. Enjoy, and Happy Thanksgiving! 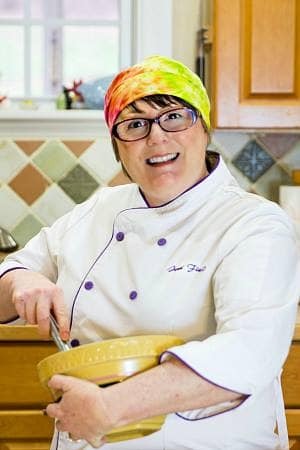 Jenni, I really like your site, its not just recipes, rather it informs and teaches. One question. For custards such as pastry cream, why temper the eggs? I know the simple answer is to not cook or scramble your egg yolks with the hot milk. My real question is why not mix your eggs in while the milk is cold and bring it all up to temperature together, much like your vanilla pudding recipe? Why heat the milk separately in the first place? Hey Tim–thank you so much! I appreciate the feedback. It is my goal first to teach and only second to give recipes, so it makes me happy to hear that I’m doing my job!